The Corvus CRO Tools Overlay makes test QC a breeze. WYSIWIG displays and testing tool previews aren’t always right. 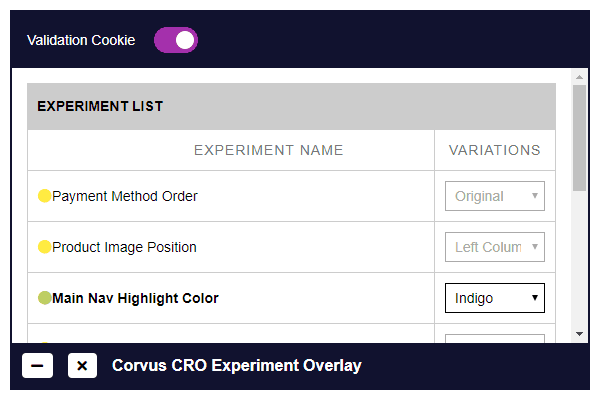 The Corvus CRO Tools Overlay enables you to safely interact with experiments directly on your site, while not exposing the experiment to your site traffic. 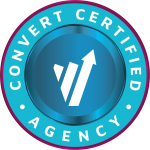 See what your visitors will actually see. Set up an audience in your testing tool that checks for the presence of a cookie named “CCROvalidation”. Set that cookie with the click of a button.